The images below show three kogai. 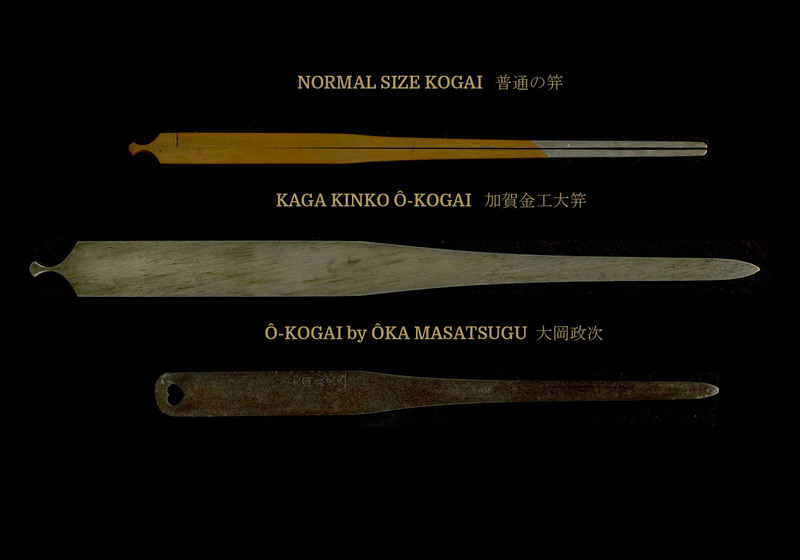 The top kogai is one of “normal” proportions to show the relative size of the two ô-kogai below it. 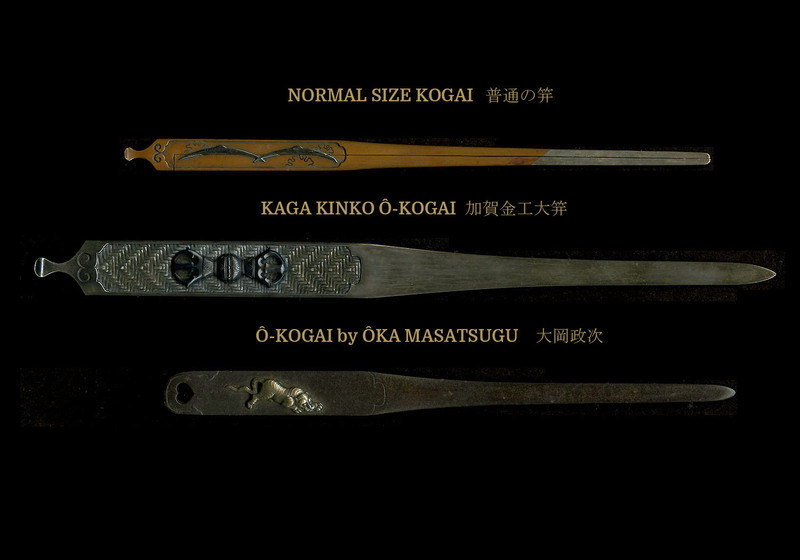 The middle ô-kogai is from the Kaga kinko school. It is made of silver with a shakudo Buddhist vajra resting on a basket weave design. It is extremely large measuring 11 1/8 inches in length with a width of just under 7/8 inches at its widest point. 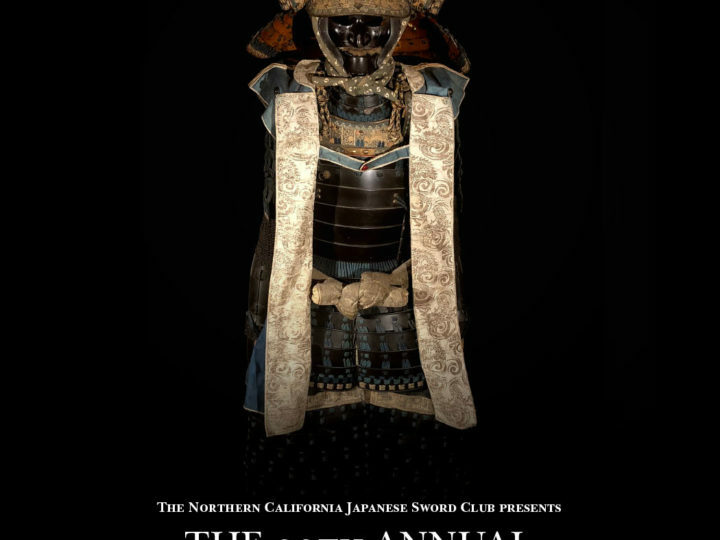 The bottom ô-kogai is made of iron with an inome (boar’s eye) cut-out and a crouching tiger done in silver and gold. 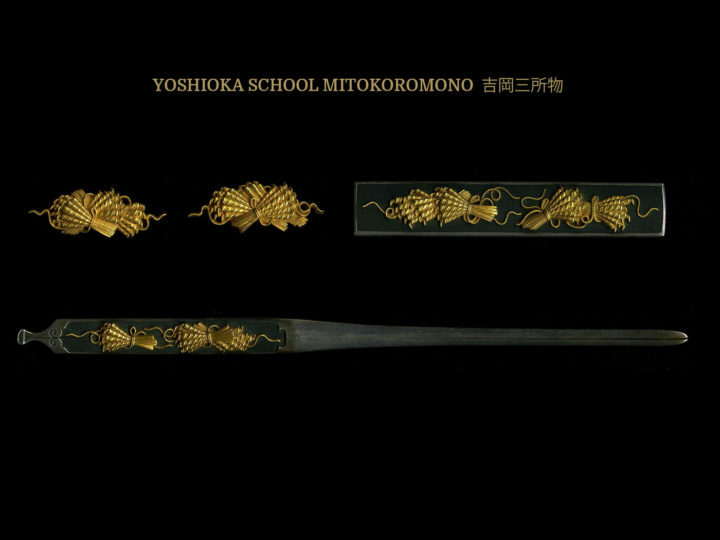 It is signed by its maker, Ôka Masatsugu 大岡政次 who worked around 1800. 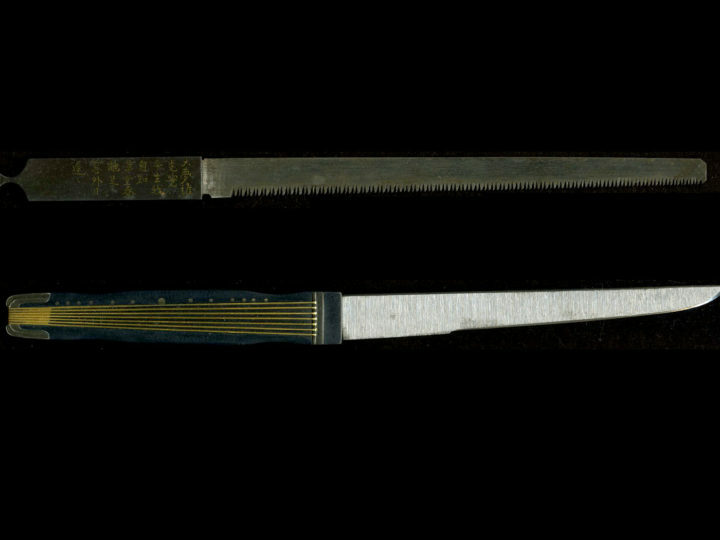 This ô-kogai measures 8 1/2 inches by 3/4 of an inch.